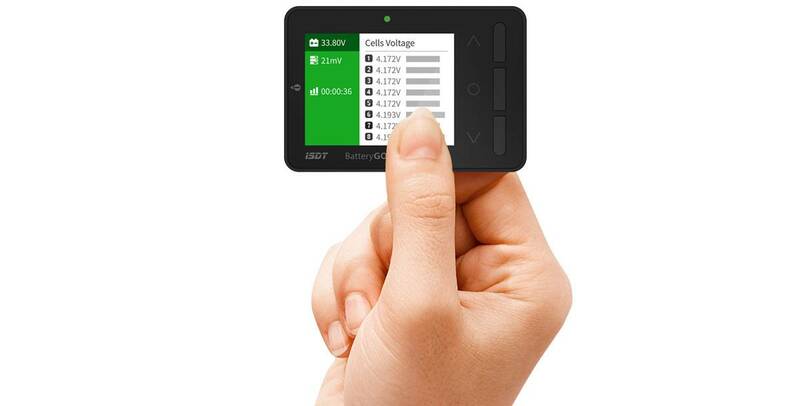 The Smart Battery Cell Meter. 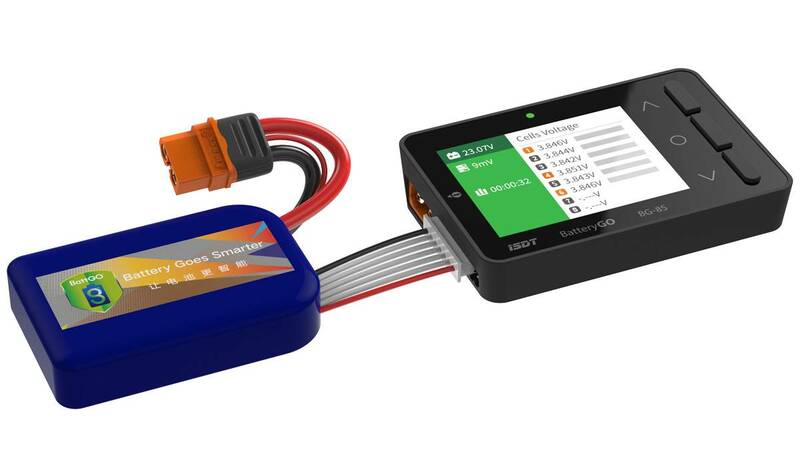 ISDT has been hard at work innovating again, with the result being the BG8S smart battery meter. 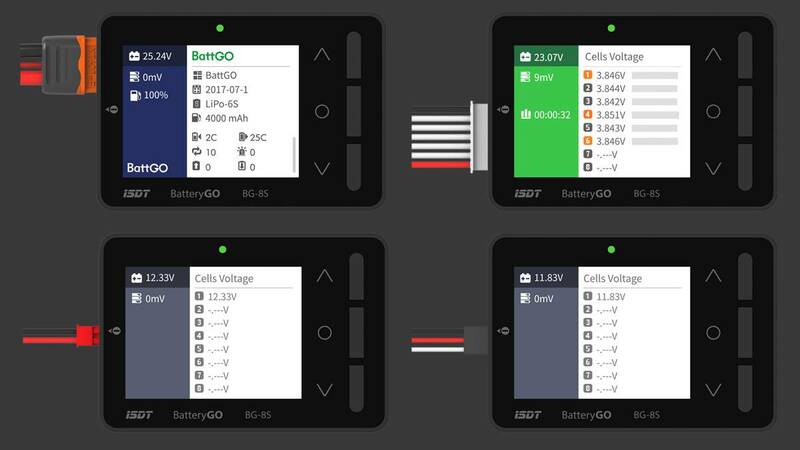 The BG8S is not only a smart battery meter, it is also an integral part of ISDT's BattGO system. The BattGO system enables users to keep records of their batteries performance, charge / discharge cycles, as well as logging of amp hour capacities on a PC or mobile phone. 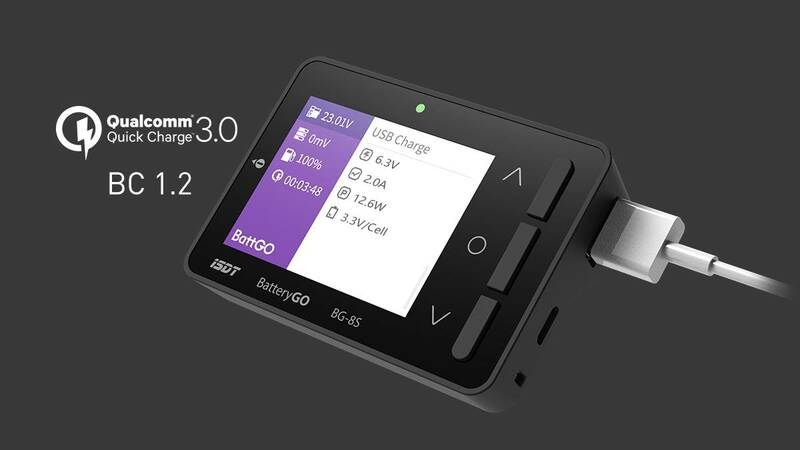 The BG8S also balances lipos, charges your cellphone or other USB powered device from a LiPo via Qualcomm's Quick Charge 3.0; or measures the voltage output from a BEC. 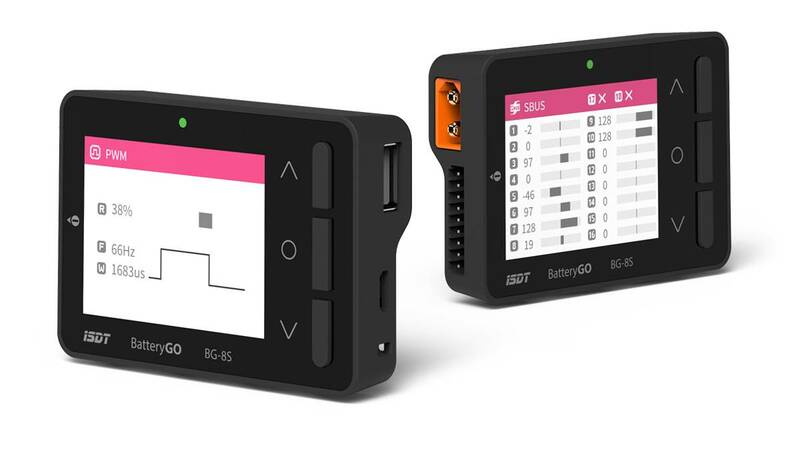 The BG8S is also a Rx diagnostic tool that can analyze multiple receiver output protocols including PWM, PPM and SBUS.